Hyphens are helpful little things that aid in reader comprehension. Although confusion is not at great risk in phrases like “sharp-dressed man” (though the omission of the hyphen suggests that the passage literally refers to a dressed man who is sharp) others, such as “small-business owner,” can at the very least conjure distracting imagery if they omit the hyphen. And such hyphenated word strings as “song-and-dance man” and “customer-relationship-management software” help keep the reader focused, though judiciously relaxing a phrase is often a welcome solution: The former phrase isn’t exhausting to read, but how about “software for customer-relationship management” in lieu of the latter? “Near-halt” and its cousins “near-disaster” and “near-miss” are results of a misunderstanding: When near modifies another adjective, it should be hyphenated to its teammate (“near-fatal accident”), but a hyphen serves no use in linking near in isolation directly to a noun. There was a time when compound nouns that are now open or closed, such as “income tax” or “taskmaster,” were likely to be hyphenated. That usage, however, is now considered archaic (with some puzzling exceptions such as mind-set and life-form). Safely assume that just about any such linkage you see is incorrect — though, to be safe, I offer the inverse of a piece of all-purpose advice: Distrust, but verify. Step back and ponder what benefit of comprehension accrues from creating the wagon train of “less-than-dedicated,” then excise the offending hyphens. As always, very useful information. I often wonder if some words do or don’t require a hyphen. I’ll use this post as a reference. Excellent tips on how to use hyphens. I wonder if you might also sometime comment on the variations of style that attend the use of what I think are called em dashes (long hyphens?) I have noticed that in some books (possible mainly novels) they are used with no spaces either side. But in other writing they are used with spaces. Thanks again for the excellent posts. * Chocolate Covered or Chocolate-Covered? * Is “Number” Singular or Plural? Subscribe To Get Our Tips Via Email And Win a Free eBook! 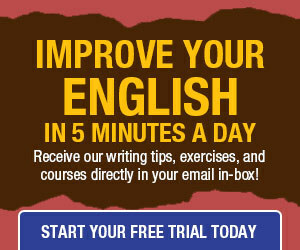 * You will also get all our grammar, spelling, punctuation and writing tips delivered to your email. * The download link will go along with the first email (you might need to wait up to 24 hours). Thanks for your note. I discuss the vagaries of spacing of em dashes in my comment in response to a query about my post at . Ya, not sure I can relate to what was said above. I guess everyone has their own opinion I suppose. Is that a typo in example 2 above — or did you mean to say that adjectives ending in -ly “never are never hyphenated”? If so, in which case it seems to have been intended as a way of emphasizing the affirmative through the negation of the negative, would that constitute a “litotes” or a “meiosis,” or is there a distinction between the two? It’s a typo, not a rhetorical device. Thanks for pointing it out. 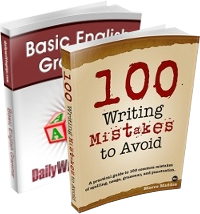 2. hyphenating compound modifiers in which the first modifier is an -ly adverb (ex: The nearly-completed project was abandoned).